Eagles eye view of the North sentinel island, Andaman. AN AMERICAN TOURIST was killed by arrows shot by protected tribesmen living in one of the world’s most isolated regions tucked in India’s Andaman islands, police said today. John Chau, 27, had taken a boat ride with local fishermen before venturing alone in a canoe to the remote North Sentinel Island where the indigenous people live cut off completely from the outside world. As soon as he set foot on the island, Chau found himself facing a flurry of arrows, official sources told AFP. Contact with several tribes on the islands, set deep in the Indian Ocean, is illegal in a bid to protect their indigenous way of life and shield them from diseases. Police have registered a case of murder and seven accused persons have been arrested. “The investigation in this matter is on,” senior police officer Deepak Yadav said in a press release. Chau had made several trips to the Andaman islands recently before finally managing to make it to the remote stretch by offering money to local fishermen. “He tried to reach the Sentinel island on 14 November but could not make it. Two days later he went well prepared. He left the dingy midway and took a canoe all by himself to the island,” sources said. He was attacked by arrows but he continued walking. The fishermen saw the tribals tying a rope around his neck and dragging his body. The Andamans are also home to the 400-strong Jarawa tribe who activists say are at threat from outsiders, who often bribe local authorities to spend a day out with them. But tribes such as the Sentinelese shun all contact with the outside world and are known to be hostile to any encroachers. 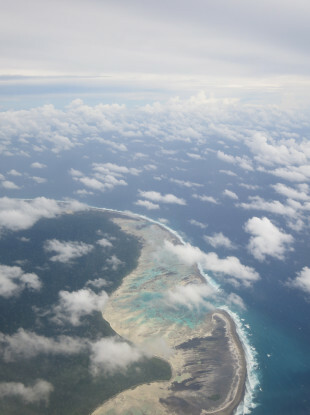 The North Sentinel island is out of bounds even to the Indian navy in a bid to protect its reclusive inhabitants who number only about 150. Email “US tourist killed by arrow-shooting Indian tribe”. Feedback on “US tourist killed by arrow-shooting Indian tribe”.